Following on from his highly-acclaimed reunion concerts in the USA with Billy Joel’s original touring band, Elio Pace delivers this sensational show celebrating the phenomenal music of Billy Joel. Featuring the massive hits, Uptown Girl, Just The Way You Are and My Life as well as fan favourites such as Scenes From An Italian Restaurant, Goodnight Saigon and Piano Man. 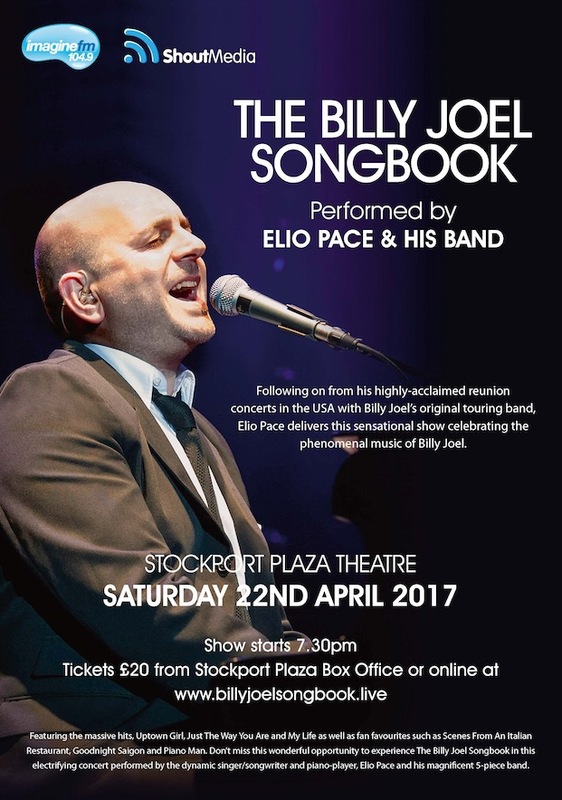 Don’t miss this wonderful opportunity to experience The Billy Joel Songbook in this electrifying concert performed by the dynamic singer/songwriter and piano-player, Elio Pace and his magnificent 5-piece band. Having established this show as one of the best-selling productions in the UK, 2017 will be the third year. If you haven’t seen the show by now then you must get the chance to see how fantastic the show is. He gets standing ovations at the interval.